If your garage door needs replacement or any type of repair anywhere in and around Holmdel, New Jersey, one of our professional technicians at ASAP Garage Doors Services will offer you a stable solution. Call ASAP at 732-322-8877 and we’ll appoint our representative t o visit your home for a personal inspection of your garage door. We feel proud to declare that we’re not into so many things and our business stands on one and only segment of garage door repair services. Our focus toward this individual industry has helped us develop excellent proficiency in our work and make numerous customers in most major locations of New Jersey including Holmdel. No matter what your garage doors need, repair or replacement, we have the solution for you! Why Hire ASAP Garage Doors Services Holmdel, New Jersey? You can give a call at (732) 322-8877 and hire us for garage door repair work in Holmdel (07733), New Jersey. Our experts will be there fully equipped to do your desired job as quickly and efficiently as possible, be it fixing a stuck door or installing the latest wireless remote openers. 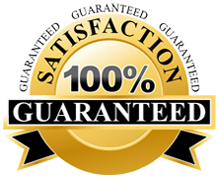 Internet users may simply fill an online no-obligation form and ask for a free quote. Don’t hesitate to ask any query you may have, we fell delighted to answer them all. This entry was posted in Holmdel on July 15, 2013 by admin.